June 28, 2016, 9:58 AM · Violist Wesley Collins, 31, will join the Cleveland Orchestra as principal violist this fall at the start of its 2016-17 season. "I’m excited for the opportunity to join the Cleveland Orchestra to make music with this amazing group of musicians,” said Collins in a Cleveland Orchestra press release. "I’m truly humbled to join this dream viola section. Ever since hearing this orchestra as a student at the Cleveland Institute of Music, I realized there was something special about this legendary ensemble. I have the greatest respect for Robert Vernon as a musician, teacher and individual and I’m extremely grateful for his guidance throughout my career." Collins will replace Robert Vernon, who is retiring from the orchestra after 40 years as its principal violist. Vernon was Collins’s teacher at the Cleveland Institute of Music, where Collins earned his bachelor of music degree. Vernon will be named Principal Emeritus upon his retirement. 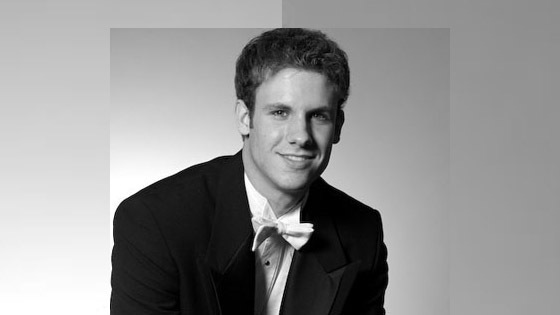 Collins has played viola in the Boston Symphony Orchestra since 2012 and was a member of the Atlanta Symphony Orchestra from 2008 to 2012. When he was a student in Cleveland, he played as a substitute with The Cleveland Orchestra, played in the Canton Symphony Orchestra, Cleveland Chamber Symphony, and City Music Cleveland, and was assistant principal violist with the Akron Symphony Orchestra. Raised in Cincinnati, Collins began studying violin with his mother, Sandy, at the age of four and also played trumpet under the instruction of his father, Philip Collins, former principal trumpet of the Cincinnati Symphony Orchestra. He later switched to viola under the guidance and inspiration of Michael Klotz, violist of the Amernet String Quartet. Collins also is an adjunct professor of viola at Boston University.